Designed by Green Beret and Special Forces Teammate Tu Lam, the Spartan Ronin Shinto (meaning "The practice of establishing a connection between the ways of the old and the ways of the new") is a well balanced, mid-sized fixed blade designed to be comfortable and robust for use in field craft and as a defensive tool. 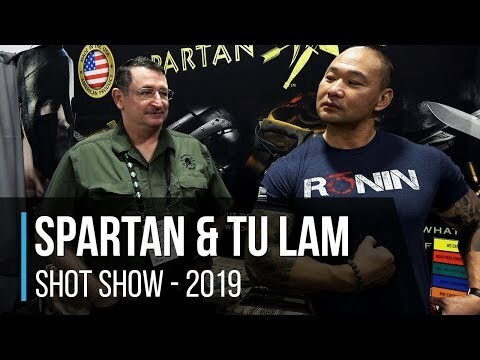 Tu worked with Spartan Blades' Founders on this project and in the same Special Forces company together. Tu is also Co-Host of The History Channels Forged in Fire, “Knife or Death”. This version comes with a Flat Dark Earth ZrN PVD coated CPM-S35VN blade and contoured, machine-textured Black CE Canvas MIcarta handle scales. 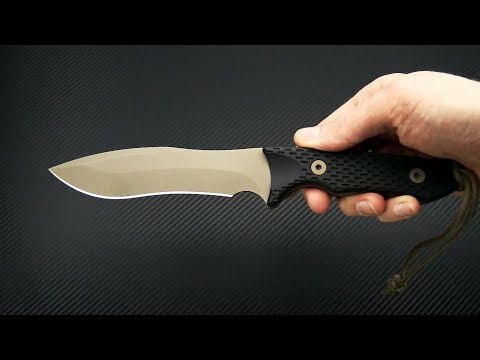 Brand new item directly from Spartan Blades. Made in the USA. Blade: The recurve CPM-S35VN spear point blade has a mid-height saber grind with a tapered top swedge which delivers a very strong tip for piercing with a good combination of cutting performance and durability. The FDE ZrN (Zirconium Nitride) PVD coating leaves a highly wear resistant finish that is both non-reflective and resistant to corrosion which enhance performance. The Ronin Shinto is well balanced in the hand and discreet in use. Handle: The full tang extends through two contoured and machine-textured handle scales made from Black Canvas Micarta. The handles deliver a comfortable and ergonomic platform for a secure grip capable of serious utility and defensive use. A paracord lanyard is already attached for added security during serious use. Sheath: Carries in a Tan Kydex sheath with multiple eyelets for multiple carry options.